While the TTP-government talks are moving at slow pace, some of the proscribed Baloch outfits were quick to claim responsibility for the terrorist attacks recently carried out in various parts of the country. Though serious analysts believe that foot prints of these attacks do not point out towards Baloch militants, former interior minister has stated that there is strong linkage between the TTP and some of the Baloch terrorist organizations. Regardless of the accuracy and credibility of both assessments, net result is that Balochistan issue is also in the limelight. Hence militancy issue needs a wholesome and nation-wide treatment. In a positive development, ten Political Parties’ Joint Committee on FATA Reforms has agreed on eleven points’ formula for government’s action. Political parties are united on the issue and have indicated that reforms in the Tribal areas are immediately needed as an essential element for guaranteeing peace in FATA and throughout Pakistan. Political leaders from several parties have, time and again, emphasized that FATA citizens should enjoy the same rights as all Pakistanis do, stating that Article 247 of the constitution must be amended to guarantee those rights. Representatives for these ten political parties on the FATA Committee are on a nationwide tour to give voice to the new reforms package for FATA. As part of the 11 recommendations, political parties agree that local bodies’ elections must be held in FATA like in the rest of the country, and that legislative powers for FATA should be moved from the President to the parliament. The FATA Committee also argues for a strengthened and more independent Jirga system, immediate abolishing of the “Actions in Aid of Civil Power Regulation”, and much needed separation of executive and judicial powers in FATA. Last week saw some interesting developments: acts of high profile militancy and terrorism were disowned and condemned by the TTP in very strong words indicating a change of mindset; fierce infighting within the TTP cadres indicated its eroding integrity as a single entity; and the government faced stiff political resistance in its pursuit to process the ‘Protection of Pakistan Bill’ in the parliament demonstrating that political expediency has over taken the keenness to combat terrorism. So far, the peace process with TTP appears to be on right trajectory. After initial hiccups, ceasefire has been quite effective. This shall help the government in identifying other actors who have been committing militancy but had remained under the shadow of Taliban. Now it’s time to set a mutually agreeable framework for dialogue and beyond. The process should culminate in reintegration of TTP cadres into mainstream socio-political and economic mainstreams of the country. It is not an easy chore, there will be resistance from many vested interests from within and outside Pakistan; nevertheless it is a doable. Most challenging task would be to keep the process from getting embroiled into trivial controversies. So for the teams representing the two sides have shown pragmatism. Both sides seem determined to exercise restraint, show patience and sincerity to comply with the truce. Fortunately no suicide bombings and fresh attacks on civilian installations and security forces have either been claimed by or attributed to TTP. Though incidents of violence continue to take place, people generally are satisfied that atleast the main and most lethal entity is not doing it. There is a ray of hope that talks with will ultimately bring peace and tranquillity in the country. While the talks proceed, government needs to be watchful of weaning national consensus. Likewise, suspension of drone attacks by the US on Pakistan’s persuasion has also helped in the continuity of negotiation. Government should invest in maintenance of unwavering public and political support as well as American goodwill towards peace process. At the same time, the TTP should also be mindful that there is a very strong lobby that spares no chance of advocating its decimation through use of force by law enforcement agencies. Onus of not letting the pro-force lobby gain more strength rests with the actions of TTP; this could be done through expression of good conduct with respect to ceasefire; and avoidance of rhetoric. Parameters of the talks, specifically the end objective should be defined, yet kept flexible. Concession to Taliban should not be one way traffic, these should be well structured in the form of tangible and measureable quid pro quos. End result should be finishing of militancy by the Taliban in exchange with Swat like legal package through amendments in Frontier Crimes Regulations. In a parallel stream, reciprocal confidence building measures should lead toward general amnesty and economic opportunities for demobilised combatants of TTP. A level of trust appears to have been created between the negotiating parties. It is heartening that both sides are committed to avoid any prolonged dead lock. Ostensibly, finding a mutually agreed way out to peace is the aim. Direct contact can also be viewed as a first step towards legitimizing the banned TTP. It also gives an indication of mainstreaming the Taliban remaining within the constitutional parameters. Efforts must be made to capitalize on the initial success, appreciating the goodwill and sense of compassion of both sides. Dialogue with TTP is a complicated and intricate process warranting cool temperament and shrewd posture. Calmness must be maintained under all circumstances and a comprehensive strategy should be prepared to handle different stages of dialogue with dignity. Govt must exercise prudence in accommodating TTP viewpoint and meeting their demands. This entails adoption of a stable and balanced approach. While doing so, the prestige and image of the armed forces must be maintained. Confused pledges and evasive statements mislead the public adding to their worries. Point scoring through media statements gives birth to grievances and inner grumblings which lead to confrontations and conflicts. There is a need to show patience to steer the country out of difficulties. Government has made a prudent decision to release additional Taliban prisoners as confidence building measure; the process of release of non-combatant prisoners is being initiated from both sides. The TTP was badly hit by the pinpointed air-strikes undertaken in February. On March 12, during a meeting, Chairman Joint Chiefs of Staff Committee, reaffirmed full preparedness and resolve of the armed forces to fight the menace of terrorism under a comprehensive strategy, within the policy parameters set by the political leadership. The TTP Shura had demanded direct talks with authorized government functionaries, including representatives of the army and the Inter-Services Intelligence (ISI). Though army is against any such direct involvement, workaround has been found to meet the TTP demand while maintaining a posture of denial. Release of prisoners remains a vexing issue. A list of 300 women and children `prisoners’ was communicated by the TTP. 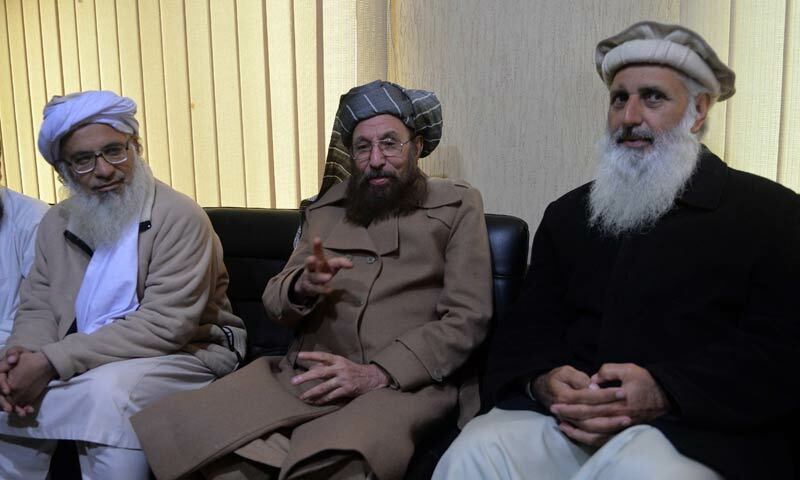 Demands have also come from civil society that ceasefire extension be accompanied by release of kidnapped or arrested `non-combatants’, especially the long incarcerated sons of politicians; TTP is reluctant to set free these high profile prisoners like sons of former Prime Minister and late Governor Salman Taseer. This aspect needs careful handling as it has the potential of spinning out of control on the pattern of missing persons’ nightmare. Mishandling of the matter could derail the negotiation process. There have been concerns in government circles about the TTP’s response to various steps taken by the government. Withdrawal of army` regulars’ from FATA is premature until suitable conditions are created for it. However, it should not be a show stopper; it’s a question of “When” rather than “Why”. FATA has traditionally been a non-militarized zone. Although a strong army garrison is present in Miranshah, the writ of the State does not run in many areas of FATA. Army needs to re-calibrate it stance on keeping the troops in FATA for an indefinite time. It would be more appropriate for the Army to put forward realistic objectives which should be realized prior to return of troops. Long presence of Army in FATA did give tough time to TTP, yet it could not jeopardize TTP’s capacity of holding trans-border territory and attacking the targets of its choosing throughout the country. While the civilian political leadership seems keen to continue the peaceful dialogue, the army should not see it as ineffectual appeasement; army should view it as a complementary effort to achieve the end objective—end of militancy and peaceful FATA. Likewise, there is a need take a proactive approach towards establishment of a “peace zone” outside North Waziristan. Distinction must be made that Taliban are our own citizens and not the foreign occupation forces. Talks with the TTP are in a decisive phase. Political settlement with the TTP would give a freehand to the government to tackle other issues like governance, poverty, polio type health issues, illiteracy and above all law and order. From a broader perspective, the resulting peace and tranquility would restore domestic and foreign investor’s confidence that is fundamental to turning around our ailing economy. It is pertinent that both sides should look for a comprehensive settlement of strategic dimension rather than patchy tactical agreements. Moreover, to mobilize public support for the peace process, it is essential that parameters for the engagement should be made public in a transparent way.